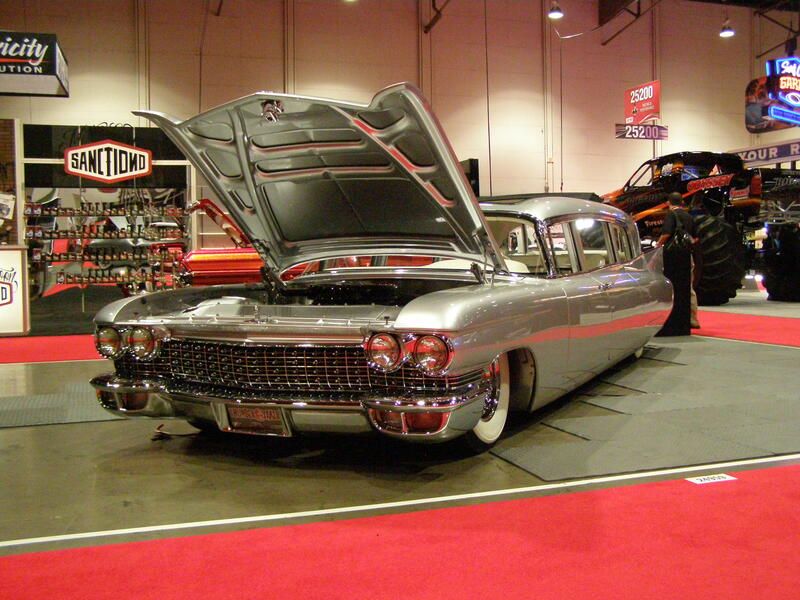 We first saw this stretched out hearse at the SEMA show in 2012. It was done by Bryan Fuller of Fuller Hot Rods in Atlanta. At the 2011 SEMA show Bryan was the spokesperson/celebrity for Gear Wrench. This car took THREE years to build and is just an awesome 8,000 pounds of Detroit metal. Great paint job and a nicely executed custom ride. NHRA at Phoenix, AZ - End of an era or a new begining? Happy 75th Anniversary to Edelbrock !